Hi all, hope you are well and have/are having a good weekend. Today I have used 'Burlesque Bessie' from the gorgeous range of new Pin Up Girls that are now available over at Bizzy Bec's, she and all the other girls are just stunning. You can scroll down to see some other gorgeous creations from the talented DT. Whaddya think for father's day? 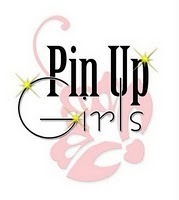 Looks What Coming Soon..... Pin Up Girls!! !